The Mel Brooks' classic comes alive at 13 W. 10th St. It doesn't matter what the subject is, Mel Brooks can make it funny. 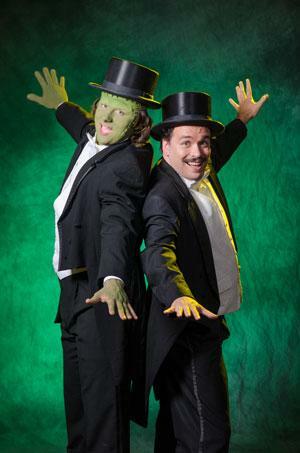 The beloved writer and director has skewered the wild west in Blazing Saddles, musical theater in The Producers, and even a galaxy far, far away in Spaceballs, but the Erie Playhouse is ready to tackle a more monstrous story when Brooks' Young Frankenstein comes to the West 10th Street for an 11-show run starting Friday, Aug. 8. Brooks' reimagining of Mary Shelley's classic horror novel Frankenstein focuses not on the doctor who originally created the lumbering, bolt-headed monster, but his ashamed grandson Frederick. However, after learning of his grandfather's death and the castle he inherited, Frederick must head to Transylvania Heights to face his family history. Of course, in true Brooks' style, nothing ever goes quite to plan, leading to angry mobs, rolls in the hay, and Irving Berlin-assisted dance numbers.